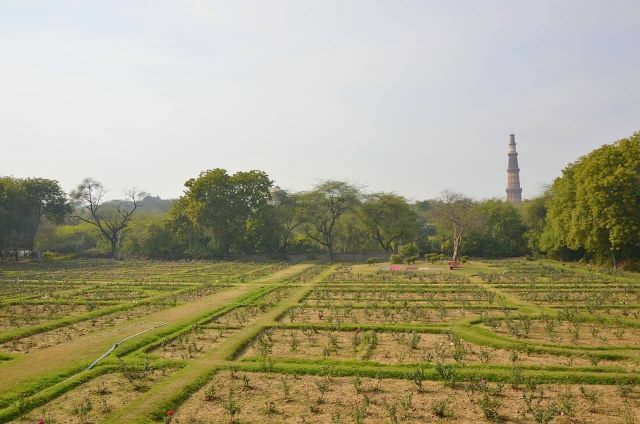 Mehrauli Archaeological Park is an archaeological area spread over 200 acre in Mehrauli, Delhi, adjacent to Qutub Minar World Heritage site and the Qutb complex. It consists of over 100 historically significant monuments. It is the only area in Delhi known for 1,000 years of continuous years of occupation. The park contains sites like Tomb of Balban, ca 1287 CE, wherein a true arch and the true dome were built for the first time in India.